And with good reason enough. Well, Mary looks fantastic in everything, but this print is a stand-alone too, with or without a princess wearing something made in it. You can see from Mary’s dress that it is a border print. To give you a close-up, it is easier to show the length-wise alignment. 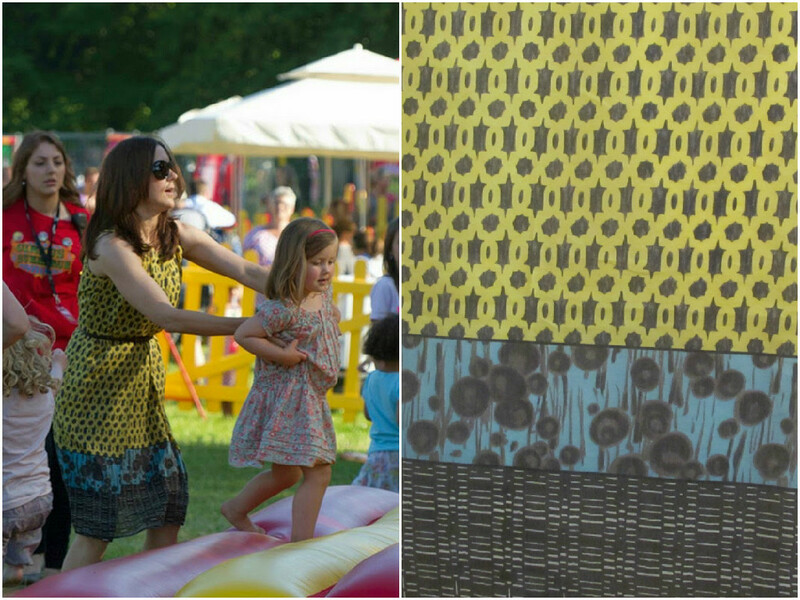 Hazelnut browns, buttercup yellow and the softest teal are arranged in this print, with the spheres print breaking up the uniform graphic of the yellow and hazelnut patterns. 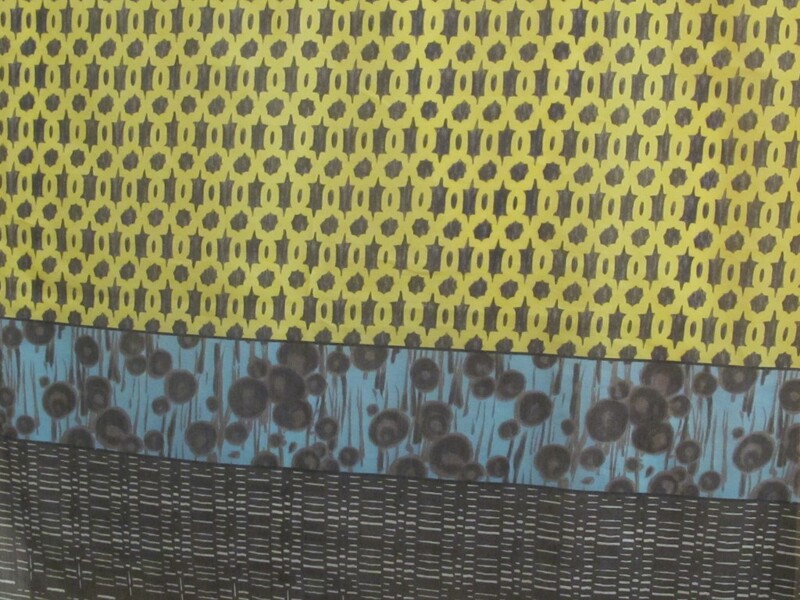 I think the graphic with the yellow colour is taken from traditional middle eastern patterns? 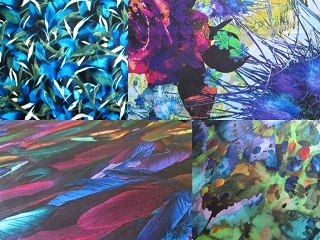 This fabric is a lightweight cotton. Some styles…dresses…would need another layer, but tops and the like, no problem without that. 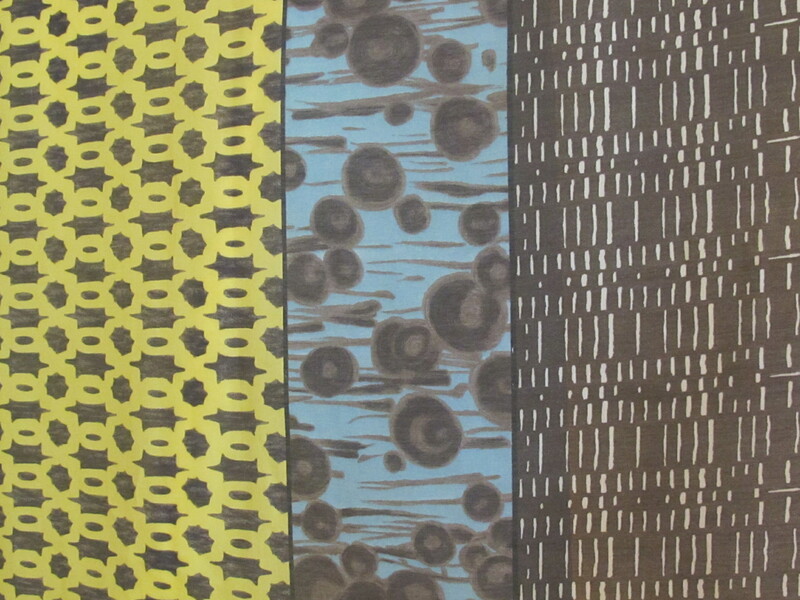 This fabric is 140cm wide and the length is 2.2 metres. 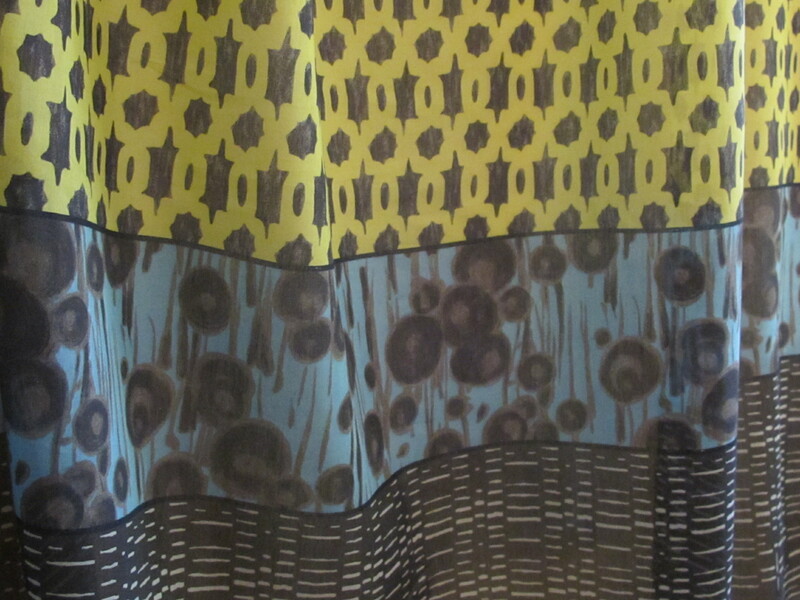 I paid a designer price tag for this fabric, something over $30 a metre, but I can’t recall the exact price. I will keep my discounting policy in place and ask $27 a metre/$59.40 for the piece.